Until a year ago, my sense was that festival and blast could be used more or less interchangeably in describing beer confabs – terms associated with quantity as much as quality. Then I attended the Kohler Festival of Beer, at The American Club Resort, in Kohler, Wisconsin. It’s fair to say that beer will never be the same for me. Traditionally, beer has been viewed as the no-account brother of wine in the golf-and family of activities. 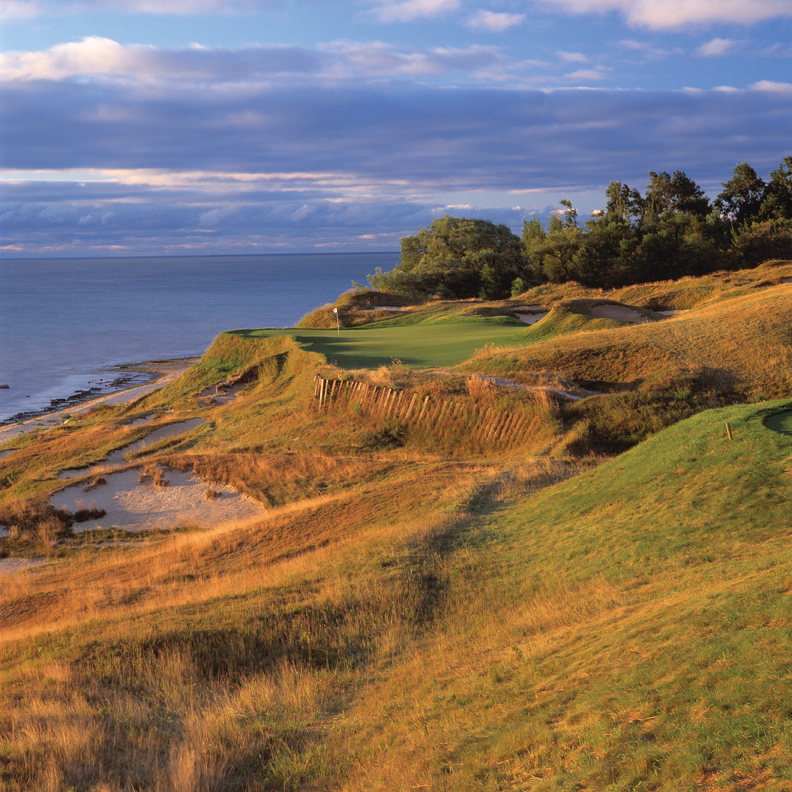 But to check out the Kohler festival – this year’s installment is this coming weekend, Friday through Sunday – is to appreciate how much beer mirrors golf: Like courses, there are great local breweries everywhere, each with its own regional character. But while the Kohler event is avowedly beer-themed, it’s the related activities that make it fun. Start with the Eggs & Kegs Breakfast Buffet, expand your consciousness in the discipline of pairing beer and chocolate, matriculate at Grilling University. Also new this year is the 5K Beer Run/Walk. There’s something going every hour of the day and well into the night. Of course, I’d advise that anyone who goes to The American Club and fails to play at least one of its four epic golf courses deserves to be cut off. 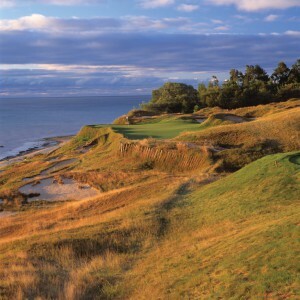 One of my A Position colleagues recently opined that, all things considered, this is the best golf resort in the country. It’s the sort of debate that, come to think of it, also goes well with beer, but you certainly can’t dismiss his assessment out of hand. As it happens, I was lucky enough to be accompanied by two other A Position mates, Tom Bedell and Herb Gould, both home brewers and, as the McKenzies would say, experts in the field, eh? They helped to boost my appreciation of the beer esthetic, but the task really requires no prior experience: You’d expect that the beer crowd would be a bit more down-to-earth than other tastemakers, and you’d be right. Similarly, the Kohler Festival of Beer affirms that those vaguely patronizing stereotypes of easygoing Midwesterners — the reporter is one — are all true. The old saw about meeting nice people playing golf spills over (figuratively, we hope) to enjoying beer. Tickets still available. You’ll have a blast.